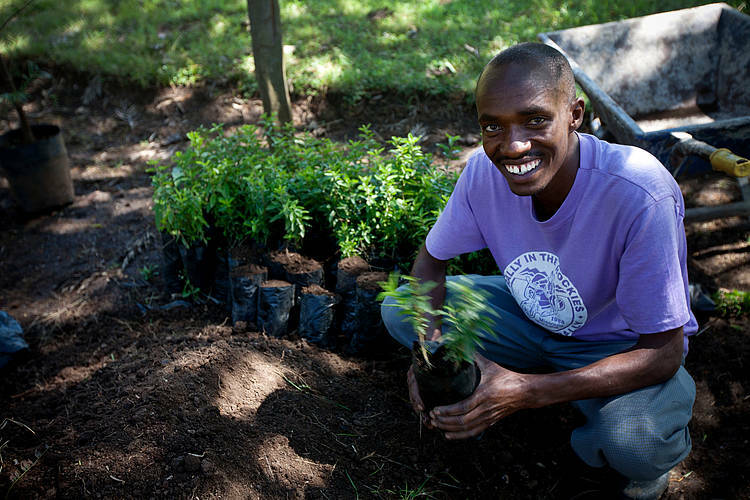 A Healthy Natural Environment Supporting People and Growth in Kenya is WWF-Kenya’s Vision. To realise this, WWF-Kenya in partnership with national government, county government, state agencies including Kenya Forest Service include (KFS) among other partners has been championing for sustainable use and conservation of the critical forest resources. This we have managed to achieve through strategically supporting key policies which drives the sector; reframing the opinions between commercial forestry and environmental stewardship; and ensuring that public participation and ownership in natural resource management harnessed. Our work in forest management is aimed at averting the worrying trend towards rapid forest encroachment, unsustainable utilization of forest resources, deteriorating river water quality, disruption of flow regimes in river and skewed distribution of benefits.